Preparing for the Tokyo Olympics can make you climb the walls. For Akiyo Noguchi, it’s been well worth it. The 29-year-old professional rock climber won the IFSC Climbing Worldcup in the discipline of bouldering on Sunday, June 3, 2018 in front of a energetic crowd at Esforta Arena in Hachioji, Tokyo. Competing for well over a decade, Noguchi has a chance to compete in sports climbing at the 2020 Tokyo Olympics, a sport that was officially selected only two years ago in 2016. Bouldering consists of climbs up a series of four walls, each with different designs of shapes that offer the slightest of hand and foot holds. The competitors are kept in an isolation room without access to their smartphones, and brought out to examine the designs of the walls for a couple of minutes before they are shuttled back into the isolation room. Then they are brought out in groups (as in the qualification rounds) or individually (as in the finals), and have 4 minutes to climb a wall, and touch a specified target hold at the top of the wall. Watching the video will make this easier to understand. When sports climbing debuts, it will be a combined event, with men and women competing in three events – lead climbing, speed climbing and bouldering – the scores of each event tallied together to produce the winners. Sports climbing is becoming hugely popular in Japan – neighborhood businesses with climbing walls are sprouting up all over Japan. In fact, Esforta was filled with kids for the IFSC Climbing Worldcup cheering on some of the best bouldering talent in the world from Japan. Sports Climbing at the 2020 Tokyo Olympics may be a ton of fun. Torch Runner passing the front of Mt Fuji, from the Kon Ichikawa film, Tokyo Olympiad. Click on the image to see this scene at the 9 minute 30 second mark to see. In 1964, the cycling road race in Hachioji, a suburban area in Western Tokyo, was considered too easy, which allowed too much bunching of elite and mediocre racers during the bulk of the race. In 2020, the road race route “will be tough, with a lot of difference in elevation,” according to this Japan Times article. More importantly, for the viewer, the backdrop will be wonderful. The 2020 route will take Olympian cyclists by the foot of Mount Fuji in Shizuoka Prefecture. According to the article, the 270-km course will start near Musashino Forest Sport Center (not far from ASIJ, the school to which my son cycled to every day), and continue through National Route 413 all the way to scenic Lake Yamanaka and Mt Fuji. According to Cycling Weekly, the organizers said that the race might even include a climb up Mt Fuji. The final major obstacle of the men’s road race should be another long climb of around 15km, going half way up the side of the iconic Mount Fuji. This is likely to be crested with around 36km to go, half of which will be a descent before a flat or rolling run-in to the finish line back on the Fuji Speedway circuit. If this mountainous course is confirmed by the organising committee, the men’s race will feature more than 5,000m of climbing and be the longest race since professional riders were allowed to compete in 1996. Reports are that the women’s 143-km road race will also have a similar route but will have less climbing. In 1964, Mt Fuji was certainly one of the top five things a visiting Olympian would know about Japan. Some may have seen it on the plane ride into Tokyo. But most could not see it even if they wanted as the Tokyo skies were filled with the soot and dust of industry and construction. Additionally, it rained a good part of the Tokyo Olympics. In July and August, 2020, the competitors in Tokyo will still unlikely be able to see Mt Fuji – the skies usually don’t become clear enough until the Autumn and Winter months. But the cyclists will have a front row view from their bikes. As a side note, I did as well in the Autumn of 2005. I stupidly joined a bunch of young but experienced mountain bikers who convinced me that biking up and down Mt Fuji is a blast. As you can see in the picture below, I did not fare well, wondering how I did not break any bones hurtling down steep slopes of lava rock. It’s estimated that to make all of the gold, silver and bronze medals to provide to all the expected top three winners of all Olympic events, the manufacturer would need 9.6 kilograms of gold, 1,210 kilograms of silver, and another 700 kilograms of copper, which is the main component of bronze. it is the goal of the Tokyo 2020 organizers to award athletes at the 2020 Games with medals created from 100% recycled materials. Instead of resource-poor Japan buying from the reserves and mines of other countries, the nation will mine its own growing stash of hidden resources – its urban mines. A considerable amount of metal was estimated to be accumulated in Japan. The accumulation amount of gold and silver is 6,800 tons and 60,000 tons respectively. They are greater than the reserves of richest resource-possessing country, South Africa for gold and Poland for silver. 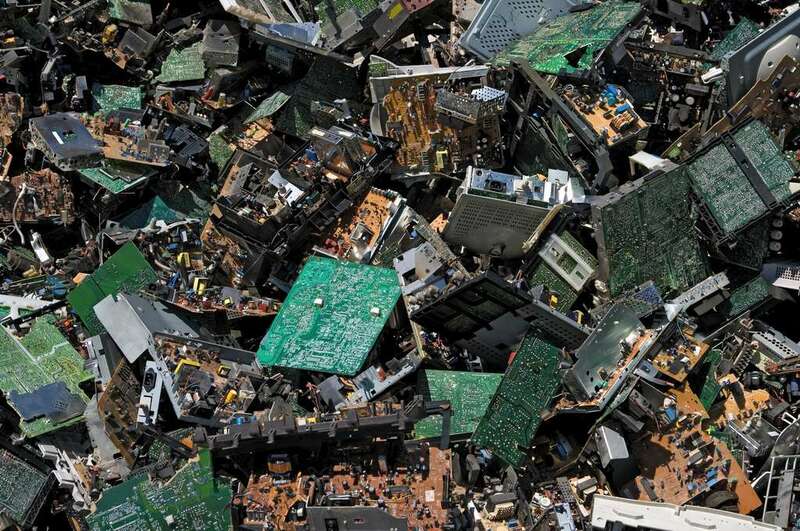 To uncover the riches stored in our electronic waste, Tokyo 2020, the Japanese Government and wireless provider NTT-DoCoMo, among a variety of public-private partners, kicked off a campaign in April to collect used and unneeded smartphones, PCs, displays, digital cameras, PC displays, MP3 players, handheld video game players, or calculators. a total of 13,236 tons of small electric and electronic devices were sent to certified operators. Some had been collected by municipalities across the nation (9,772 tons) and others had been brought directly to the operators by citizens and companies. They broke the devices down into their parts and sorted them, sending 8,582 tons to the smelters. Among the metals extracted from them, iron accounted for the largest portion in weight (6,599 tons), followed by aluminum (505 tons) and copper (381 tons). Extracted precious metals including gold and silver amounted to 494 kilograms. Imagine it’s Sunday, August 9, 2020, the final day of the Tokyo Olympics. The marathon has started, tens of thousands of people are lining the route, and the morning sun is radiating a furnace room of heat. On August 9 this year (2017), the temperature hit a high of 37 degrees Celsius, or 98.6 degrees Fahrenheit. That’s hot man! And potentially dangerous for runners, as well as spectators. According to Makoto Yokohari, a professor of city planning at the University of Tokyo, in August the temperature at the location of the national stadium in Tokyo gets to 30 degrees at 7:30 am, and rises to the mid 30s in Asakusa, the mid-way point of the 2020 marathon. Yokohara adds in this article that much of the route, especially around the Imperial Palace, is not under shade. Runner’s WorldFor runners, the fastest times often come in cool weather, in a range of 4.5 °C (40 °F) to about 13 °C (55°F), according to this analysis from Runner’s World. But when you run a marathon in hot weather, your body will rebel. According to this article from Scientific America, marathoners need blood to go in two directions at the same time – to your muscles to deliver oxygen and keep your muscles pumping, and to your skin so that your body can cool down. When it’s really hot, unfortunately, the blood that goes to the muscles that are getting a work out, gets even hotter, and the blood that gets to the surface doesn’t cool down. You sweat more, you dehydrate, and your body reacts with heat cramps, heat exhaustion, or even heatstroke. The mother of all heat related illnesses. Your body temperature rises above 105 degrees F and it becomes a life-threatening situation. Most often, heatstroke results from untreated heat exhaustion, although it’s very possible for heatstroke to come about with no signs of heat exhaustion. Heatstroke is characterized by extreme fatigue and weakness, confusion and odd behavior, disorientation and finally unconsciousness. Your body’s regulatory system completely shuts down at this point, sweating ceases, and your skin becomes hot and dry. Unfortunately, it doesn’t end there. Convulsions and seizures can occur as your brain begins to shut down; coma and death are possible in the worst situations. GET OUT OF THE HEAT IMMEDIATELY! Seek medical attention, get in the shade, drink water, etc anything to get cooled down! You do NOT want to get to this point. For us pedestrians, succumbing to the heat is commonplace in August, according to Akio Hoshi, a professor of health science at Toin University of Yokohama. “The number of people transported by ambulance due to heatstroke or heat exhaustion has peaked in early August in recent years. So the Tokyo Olympics fall in the period with the highest risk,” Hoshi said. The 1964 Tokyo Olympics were held in October, and the weather was primarily wet and cold….preferable conditions to the marathoners of 2020. One thing certain about the dates of the Tokyo 2020 Olympics: July 24 to August 9, 2020. It will be hot and muggy! One less obvious thing recently occurred to me about the dates. The final week of the Tokyo Olympics falls on the 75th anniversaries of the nuclear bombings of Hiroshima and Nagasaki. Was it intended to bring attention to the worst days in Japanese history, during the proudest days of the nation’s history? Of course it was. It’s impossible to imagine that no one in the Tokyo 2020 organizing committee or the IOC noticed that the closing ceremonies of the Olympics would take place on the day the second atomic bomb was dropped on Japan, thus expediting the eventual end of the war six days later. On the contrary, the organizers must have thought that the final day of the Tokyo 2020 Olympics would be an opportunity to solemnly (and hopefully tastefully) implore the world that peace and love trump war and hate. Such a closing ceremony would provide a poetic bookend to the opening ceremony of the 1964 Tokyo Olympics. Only 19 years removed from the end of WWW II, it was a 19-year-old student from Waseda University named Yoshinori Sakai who carried the sacred flame up the National Stadium’s steps to light the Olympic cauldron on October 10, 1964. Sakai was born in Hiroshima on August 6, 1945, the very day that the Enola Gay dropped an atomic bomb called “Little Boy” on Sakai’s hometown. All he was saying was give peace a chance. 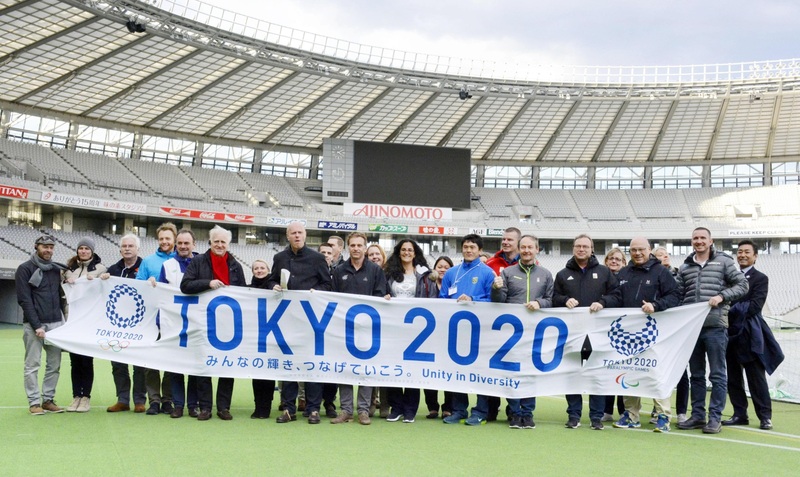 A big part of the pitch for the 2020 Games by the Japan Olympic Committee to the IOC in 2013 was that the Tokyo Olympics would appeal to youth. Along those lines, new sports added to the Games in 2020 are skateboarding, surfing and rock climbing. At the Tokyo 2020 preview at the end of the Rio Olympics closing ceremony, the world was pleasantly surprised by the emergence of Prime Minister Abe as the world-renown game character, Super Mario. And last week, Tokyo2020 announced the lineup of its anime ambassadors for the Tokyo Olympics. They include such globally recognized characters as Sailor Moon, Goku from Dragon Ball, Crayon Shin-chan and a classic character that was a huge hit in Japan in the 1950s and was broadcast in the US in the 1960s, Astro Boy. Anime, the catch-all phrase for Japanese produced comics or animated television or film, has enjoyed a boom internationally. It is a multi-billion dollar industry in the United States alone. Japanese manga in English can be found liberally in bookstores or online. Japanese anime film directors like Hayao Miyazaki and Osamu Tezuka are global icons. And of course, illustrated characters from Japanese games, television programs and films are re-drawn in daydream doodles, their costumes adorned, and their merchandise snapped up the world over. So yes, who will begrudge the TOCOG (Tokyo Olympic Organizing Committee) the opportunity to make a few extra gazillion yen with Tokyo2020-Sailor Moon bags, and Tokyo2020-Dragon Ball hats. You can buy your Tokyo2020 swag here. I am a proud owner of a Osamu Tezuka Astro Boy original, drawn for my father in the early 1970s. They are a dying breed. Since baseball was dropped from the Olympics as an official sport from the 2012 London Games, there are fewer and fewer Olympic medalists still playing in the Major Leagues. But as it turns out, three of them are on the Chicago Cubs, the recently crowned world champions. As you can see in the picture above, very young versions of Dexter Fowler, Trevor Cahill and Jake Arrieta were on the bronze-medal winning American team that competed in the 2008 Beijing Olympics, the last time that baseball was played in an Olympics. By my count, there are 12 major leaguers who have won a medal in baseball in the Olympics, and played in the 2016 MLB season. Baseball premiered at the 1992 Barcelona Games. Incredibly there is still one player from all medalists in the 1996 Olympics who is still playing in the majors – R. A. Dickey, a 42-year-old pitcher for the Toronto Blue Jays. Don’t forget. Baseball is coming back to the Olympics at the 2020 Games in Tokyo. Which major league stars of today will still be Olympians in four years: Mike Trout? Bryce Harper? Noah Syndergaard? Mookie Betts? Maikel Franco? Manny Machado? Nolan Arenado? Francisco Lindor? The entire Chicago Cubs infield?